Laura Given (AKA LibLaura5) is a magnificent school librarian in Minnesota. She always does a great job preparing her students for author visits. 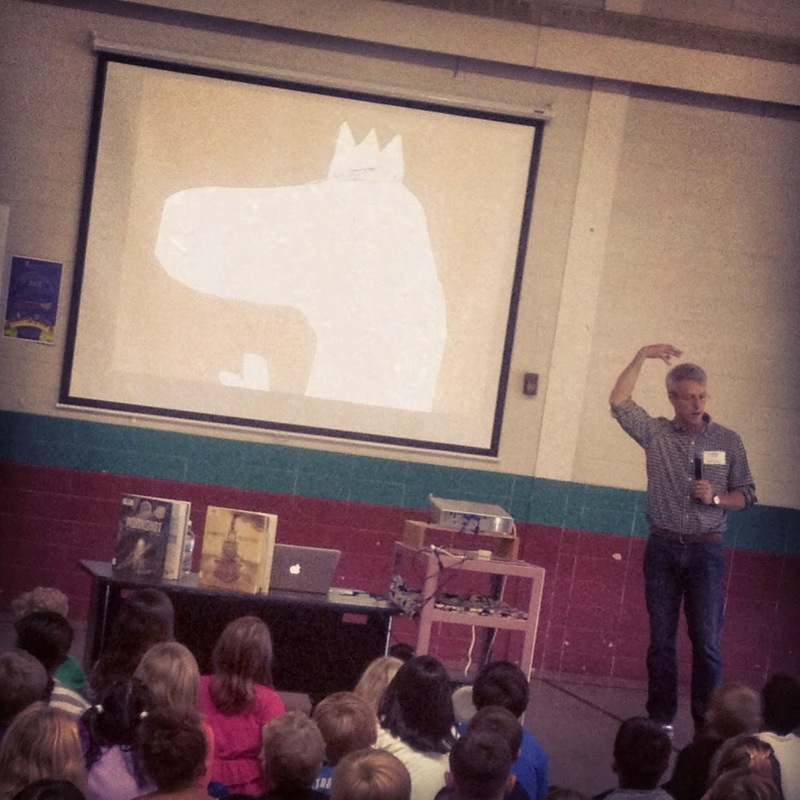 Earlier in the school year, she hosted author-illustrator Brian Floca. I invited her on Watch. Connect. Read. to chat with me about his visit. I wrote the words in red, and she wrote the words in black. Thank you, Laura! We prepared for Brian Floca’s visit to my school library very quickly! His visit was on the 8th day of school last September. We had enjoyed learning about Brian the spring before when Moonshot was one of our State Award books, so in a way we had prepared for his visit even before we knew he was coming. It was a fabulous way to kick off the school year. 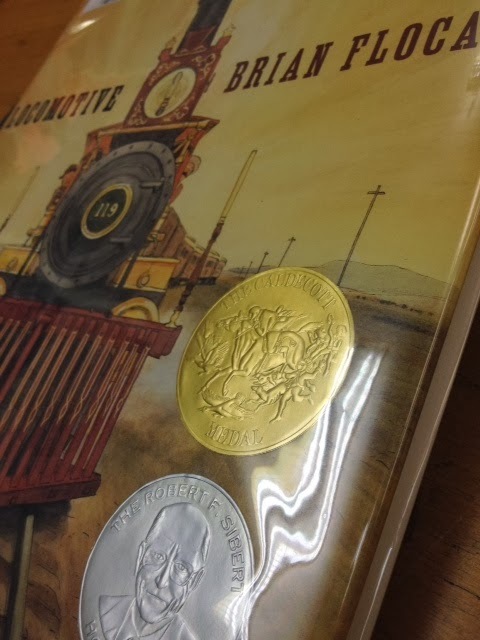 When I told my students that Locomotive won the 2014 Caldecott Medal there were gasps and cheers and requests for ALA Caldecott stickers for students to put on their own copies of Locomotive. 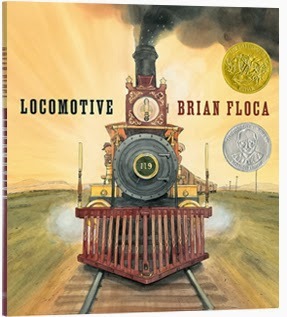 Brian Floca’s nonfiction books are visually stunning, well researched and engage readers through a narrative of information. how did people go to the bathroom?!?! The Marty McGuire series was a great connection students made for Brian’s visit. Students loved that Brian also illustrated Avi’s Dimwood Forest series and the graphic novel City of Light, City of Dark. Mr. Schu, you should have asked me about Brian’s hilarious sound check with a few of my students. It was a little bit haunted house and a little bit Darth Vader. My students loved decorating the wall outside the library the first week of school with coloring pages from Brian’s website. 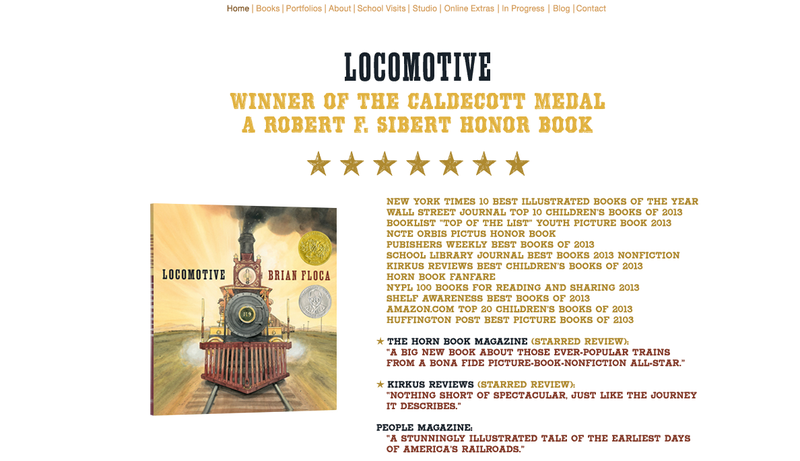 I am giving away one copy of Locomotive. 1. It will run from 2/14 to 11:59 p.m. on 2/15.